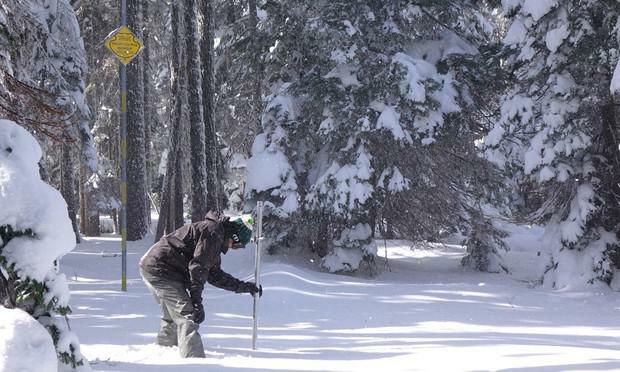 Scientists measure snowpack levels every winter to determine upcoming water supplies. Snow falls on Mount Ashland. Snow here drains into both the Klamath and Rogue basins. Winter storms in the Pacific Northwest over the past week have helped boost mountain snow levels. 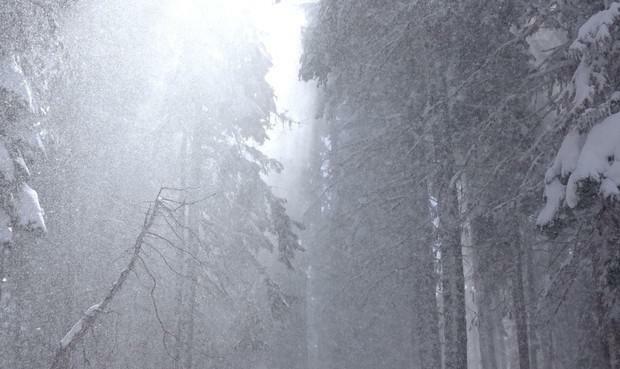 Ski areas across the Cascades report they have received between 9 and 20 inches of new snow since Friday. Mt. Ashland Ski Area in southwest Oregon has seen 20 inches over the past week. General manager Hiram Towle says they filled the parking lot on Sunday, as 2,300 people traveled to the mountain to take advantage of the new snow. It hasn’t just been the most recent storms that have attracted business, the season started strong as well. “The snow that fell early was really, really wet and heavy and that makes for a really great base. Especially when we get cold temps after that … made for a good start to the season,” Towle said. He says ski area operators are feeling pretty good about the snowpack right now. They're optimistic it is putting Mt. Ashland on pace for an average season. “We try not to get ahead of ourselves. Mother Nature is fickle and we’ve seen good snowpack go away pretty quickly,” Towle said. But when you look big picture, the mountains that help supply the western part of Oregon with water still have far less snowpack than normal. Natural Resources Conservation Service data show that the Hood, Sandy and Lower Deschutes watersheds are at 57 percent of normal, the lowest in the state. The Willamette, Rogue and Umpqua, Upper Deschutes and Crooked and Klamath River watersheds are still below normal as well — ranging from 66 to 81 percent — even though recent storms have significantly benefited these regions. Much of the state relies on winter snowpack to store water for warmer and drier months. The current snowpack trend is positive, but the conservation service is still predicting a low water year in the state. One reason: Oregon started in a deficit. “Because of the limited runoff we had last year because of snow, as well as the very low temperatures … we went into the fall with very dry soil moisture conditions, very low stream flows and we used a lot of reservoir storages for agricultural purposes that normally we wouldn’t have to tap into,” said Scott Oviatt, Natural Resources Conservation Service's snow survey supervisor. In the agency’s February outlook, it forecasts “below average flows for the spring and summer water supply season across much of Oregon.” Water levels are below average at reservoirs storing irrigation water. California and Washington are in much better shape, water-wise, with only 11 percent of each state facing drought conditions.